95% of Brits aged 16-34 own a smartphone  – and they get used all day every day, from school work to Snapchat, from iMessage to Instagram. When the group chat gets busy, it can be hard to put down your phone – but behind the wheel using a smartphone isn’t smart. Taking your eyes off the road makes it impossible to react to anything unexpected – you won’t miss the animal running off to the road as fast as you type! Even for cautious drivers, a split second distraction can mean the difference between life and death. If you’re doing 30mph and look away from the road for just 2.3 seconds, you’ve missed 100 feet ! If you take just 5 seconds to read a Whatsapp message at 30 mph, you’ll miss almost 220 feet – that’s as long as the wingspan of a jumbo jet. You need that distance when slamming on the brakes to avoid hitting someone stepping out in front of your car. Using your phone while driving can also hurt your wallet. It’s illegal to even touch your phone with the engine running. Being caught can lead to six points and/or a £200 fine. And new drivers – if you’ve passed your test in the last two years – you could lose your licence . 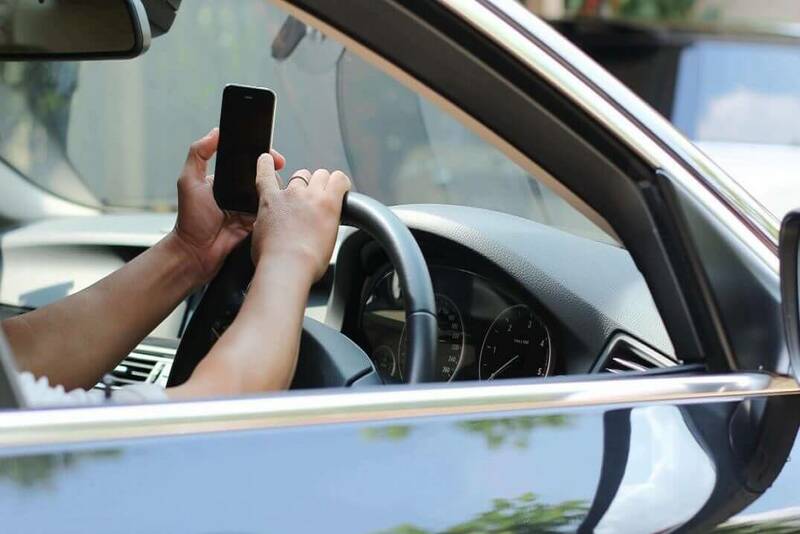 That one call or text is not worth the risks that come with using your mobile phone while driving. Set up a hands-free – or make your mates wait.